A collection of 4 Valentine's Day themed I spy printable games for kids! 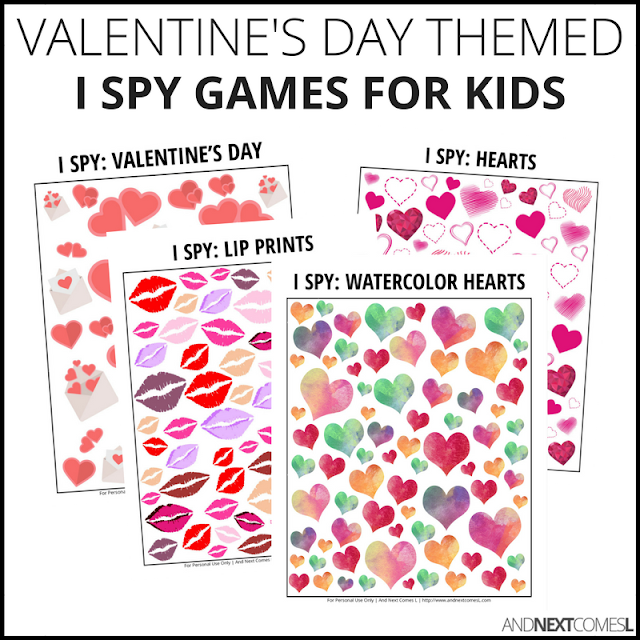 Get ready to embrace love, kisses, red, and pink with these fun Valentine's Day themed I spy games for kids! $2 US | BUY NOW!